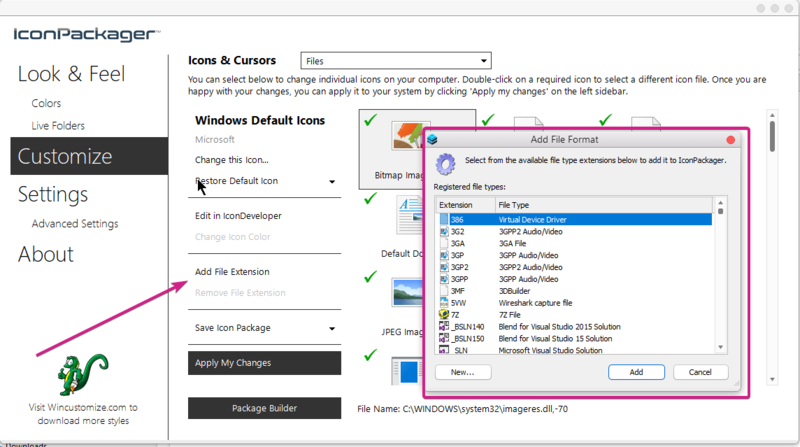 When will there be further development of Iconpackager for windows 10? 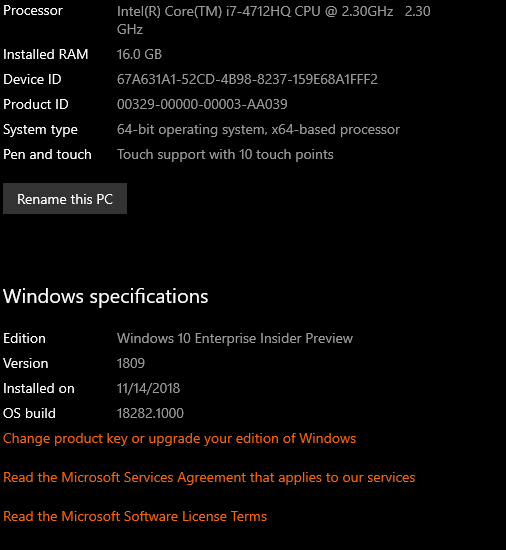 There seems to be some gap with the version 10.03 and windows 10. When I try to add a file extension to modify the icon, iconpackager crashes with debugging messages. 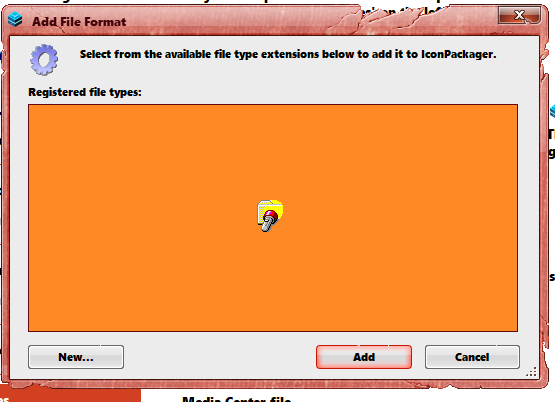 I now have to use another third party app to change the file formats icon images to my desired iconpackage theme icons. clearly something is off and microsoft has no intention to correct. 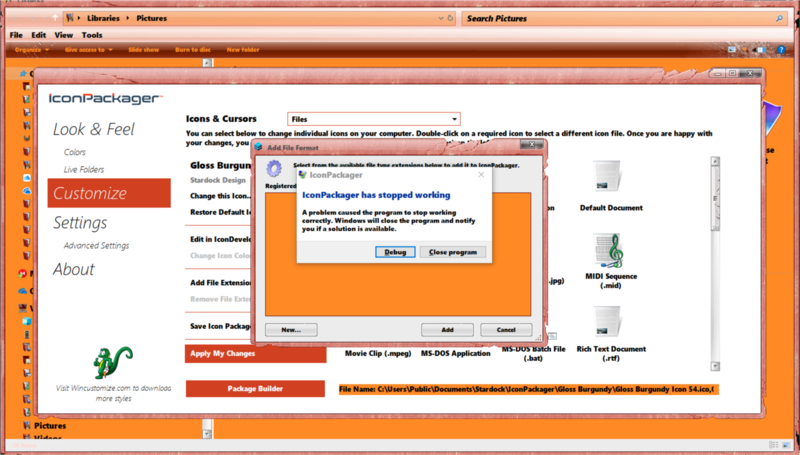 Stardock should check iconpackager and resolve soonest. Thank you for listening. We would like to know more about your issues . Video screenshot and more detail would be helpful . If there is an action I am missing, that you can see from the image, please provide exact steps with a default package (that comes with the app). thats exactly where I go and get the the debug window popping up. Can you test on the deployed version? 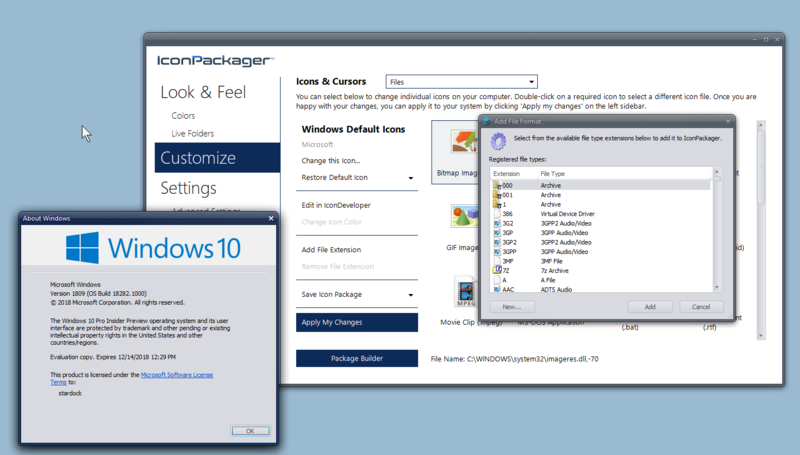 hmmmm well what is the deployed version that the current version of 10.03 packager supports. windowblinds was acting up and now with their beta versions, operate the insider previews the current set of october updates very well. iconpackager needs beta. there is no turning back for me to use deployed versions. how i have rendered current desktop it would be a downgrade of performance and appearances. should stardock at least have a lab to simulate the instance of crashing.... i would be most grateful. And to do it under a new Windows Administrator account. Nothing there that suggest the behavior of the product. But in anycase, I will continue to work with it until I figure out the causes. so to add more dynamics to my issue. 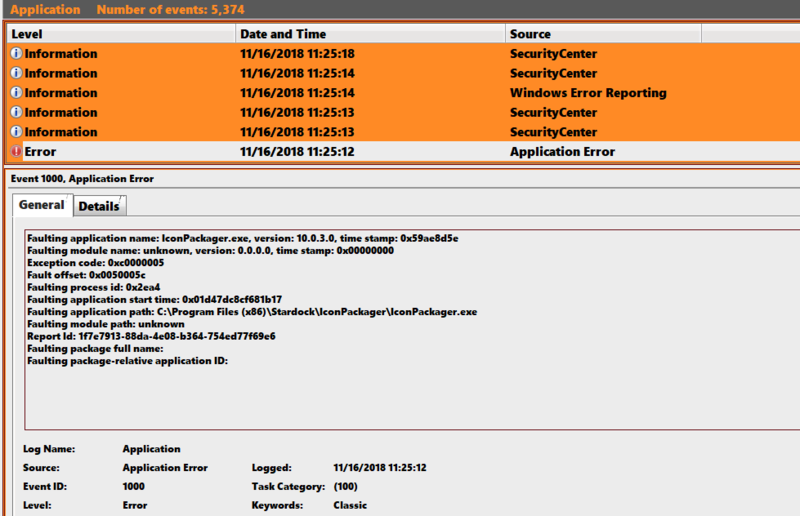 see the image arising from event viewer. I don't doubt it's falling for you, but if I can't reproduce it, nor have any other reports come in on it (none have), I have to suspect and target the local PC / other software or settings. Unfortunately we cannot offer support on insider builds of Windows as they are often buggy and liable to change. Windowblinds got an update purely because we had an update already in development. To support insider releases we would need to charge 10* as much. It may well be the issue is caused by some additional extension registered on your computer which would explain why Sean cannot reproduce. Perhaps it causes a parsing issue in IP. So then icon is not under new development or schedule for development as windowblinds? Understood, mine you the program works otherwise and performs. 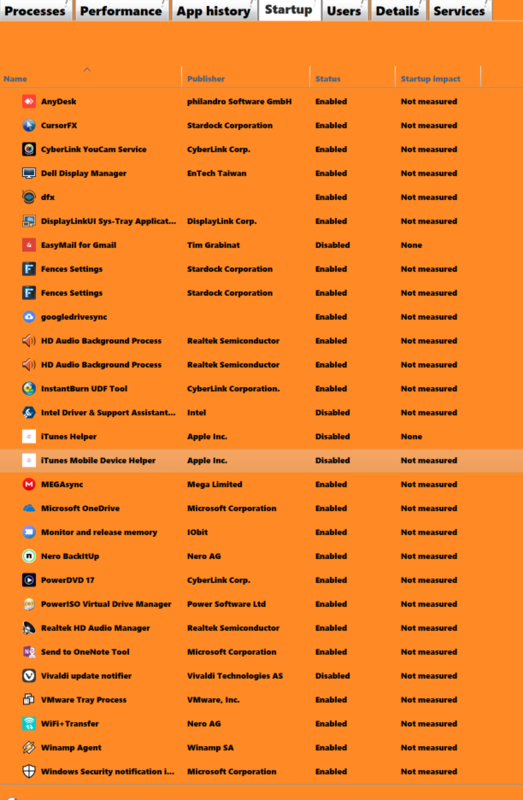 I just cant scan the system with iconpack for all the extensions under windows. when it is about to scan the system that is when I get the error. Since no support is available, I will ask that this submission be considered closed. I will continue to to do my research as to the cause and find a solution that gets it working again without performing a reinstall of windows.